A school that paid a £1,500 ransom when they were hit by a cyber attack in the run-up to exams has been slammed after only some of its pupils' work was recovered. 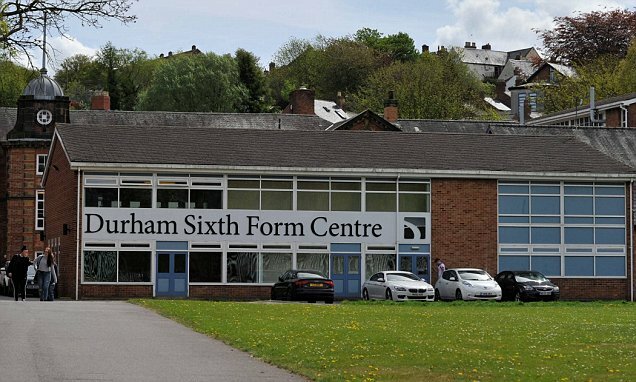 Cyber crime expert Phil Butler branded the decision to pay up 'madness' after students at Durham Sixth Form Centre lost valuable work when the computerswere targeted by ransomware shortly before the exam period last Spring. An investigation has revealed the school paid a ransom of £1,500 after a computer virus encrypted files which contained student’s work during the WannaCry attack, which the UK and US blamed on North Korea in December. The payment, to a third party, was approved by the school’s Chair of Governors Dennis Southwell. The cyber attack, which occurred at the end of April last year, left teachers and pupils unable to access work. Only some of the student’s work was recovered. Phil Butler, former police officer and cyber crime expect at Roxburgh Forensics, said submitting to the ransom left the school vulnerable and pointed out that both the UK and US blamed North Korea for the attack. 'It’s madness really to start paying out to criminals who claim to have hacked your system because you’re exposing yourself to a whole world of pain,' he said. 'Essentially you are becoming an easy target for future attacks. And not only that, your encouraging further criminality you’re actually facilitating potential money laundering and it’s just madness essentially. 'That is why the police would never recommend that anyone should pay out and there’s a number of things you can do. Phil said he would be 'very surprised' if the amount paid out by the school was just £1,500.